For many of us, a trip to a costly dog groomer is simply not an option, leaving us to resort to the only other choice we have — the bath tub — armed with a bottle of dog shampoo and a forced smile. While hardly anyone would consider washing and grooming a dog a luxurious activity, it is for your pet. Luckily, even on a tight budget, you can treat your favorite pooch to the luxurious treatment offered by self serve dog grooming and dog wash systems. With a wide variety of scented shampoos, snacks and even hair dryers, your dog will think he’s at a spa retreat … and all at a price you can afford. 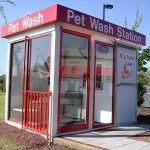 Visiting a self serve dog wash is an opportunity for your dog to relax and enjoy getting pampered. Many locations have double basins, ensuring that if you have more than one pet, each can stay safe and protected while you tend to the other. 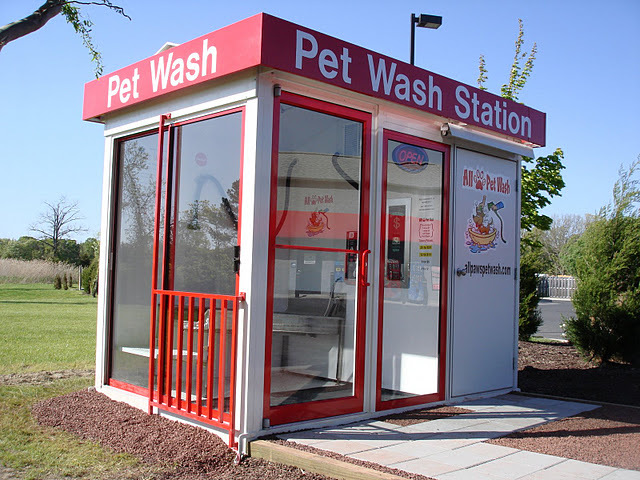 Dog wash systems have vending machines that offer all kinds of tasty treats for the well-behaved pooch as well as aprons and even extra towels. Additionally, many pet wash stations are found at car wash businesses letting you clean your pooch while your car gets scrubbed. Cold outside? Not a problem because self serve dog bath stations have heated water, making even a winter bath warm and comfortable. Plus, before you step out into the cold, you have the option of using one of the high-powered hair dryers at the commercial dog washing station to add the finishing touches to your pet. With 24 hour, 7 day a week availability, anytime is the right time to pamper your pet with the All Paws Pet Wash dog bath equipment. And with locations close to home there’s no planning needed. That’s convenience you can depend on, whether you’re coming back from a trip to the beach, a hike in the woods or simply in need of a bath. What are you waiting for? Hop in the car and treat your dog to the pampering he deserves … at a price you’re happy to pay!